Usually, when traveling, I like to see how ordinary people live their lives. Although it’s fun to sight see while exploring a new city, I am most happy when I can escape the hordes of tourists and see “real life” of ordinary people. For me, Chicago was no different. Instead of bending my neck to stare at skyscrapers, taking the typical selfie with “The Bean” in Millennium Park, or catching a baseball game, I headed to the Northern suburbs to visit a good friend from college. 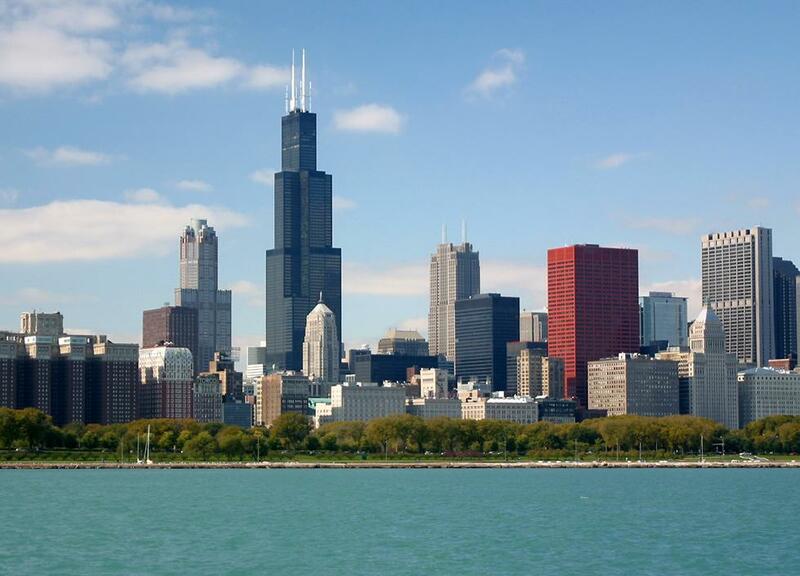 My trip began in December when I purchased round trip bus tickets from Omaha to Chicago with Megabus for only $6.80. After finding such a bargain, I couldn’t pass up the opportunity to travel. Boarding the bus on Friday morning, I scored a seat on top of the double-decker bus for the eight hour journey to Chi-Town. Stopping in Des Moines and Iowa City before finally reaching Chicago in the evening, I took in the Windy City’s beautiful skyline at dusk before being deposited at Union Station to meet my friend. After briefly seeing the city, we headed to the suburbs for the weekend. The remainder of my time in the Second City was filled with deep dish pizza, chatting, cafes, walking, shopping, meeting new friends, drinks, and laughter. Too soon, I was boarding the bus on my way back to Omaha. As I watched the Midwestern plains fly by the window, I reflected on the past couple days. Though I love seeing different places, tasting new food, and experiencing diverse cultures, the people I meet while traveling are the most important. In the end, the most beautiful places or the most delicious food cannot substitute for the new friends I’ve made while travelling. Without someone with whom you can share the experience, what is a new adventure? Pain. Songs, poems, and plays have depicted this feeling throughout time as humans attempt to grasp the strong emotions wrapped up in this simple, four-letter word. Wherever man treads, there he finds pain. Simply take a look at history, pages and pages are filled with words of pain and suffering. War. Fighting. Genocide. Death. No history book is complete without these signs of conflict and pain. How can we think that our lives can be whole without pain as well? Take another look at history. Can peace be achieved without war? Can reconciliation be reached without a struggle? It is through battles that victories are won and combat leads to resolution. Because we cannot escape pain, we allow it to build us up making us stronger as we fight through our situations. Back in the United States, the last five days have been filled with pain. Never, in all my twenty years, have I encountered such heartache. Since saying goodbye to Bulgaria, Southeastern Europe, and all the friends I made while there, my days have been filled with survival techniques. Sleeping, running, reading, shopping, and talking are my feeble attempts at filling the hole in my heart. However, as much as this pain hurts, it reminds me that I am human, filled with love and loved in return. I hold onto this pain because it reminds me of all the wonderful memories I created while in Bulgaria. Under no circumstances would I trade this weight for anything in the world, knowing that with the pain comes hope. Hope that, although we are separated for the moment, we will be reunited in the future when our bonds of friendship are strengthened with time. Before clay can become a beautiful piece of art, it must be painstakingly molded by the potter’s hands. In this way, the pain I am now feeling is shaping me into the woman I am meant to be. Though the process is not meant to be pleasant, the outcome is well worth all the agony felt up to that point. Patiently, the potter is forming me into the stunning creation he intended me to be before he began. Holding onto this pain, I will fight to become a better sister, friend, and person as time slowly heals my wounds. Pain will only last for a moment, but the results will last forever! After spending four months together, a few friends and I decided to spend our last Bulgarian weekend together in Plovdiv. Friday, we caught the 14:30 bus to Plovdiv, arriving about four hours later at our hostel in the city center. Quickly showering and getting ready to go out, we had a nice dinner (with delicious wine, of course) at a traditional Bulgarian restaurant. Talking and laughing our way through dinner, we thoroughly enjoyed each other’s’ company knowing that our time together was running out. Dinner was followed by a walk through the city center as we looked for a place to spend our Friday night. 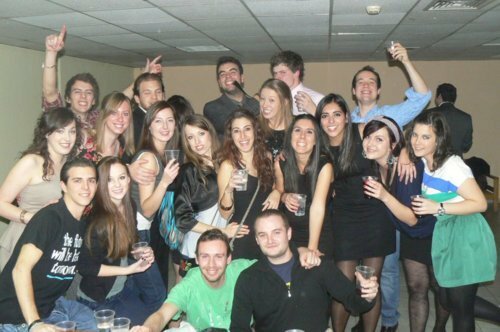 Finding another group of students who spoke English, we were led to a nice bar where we danced the night away. Awoke on Saturday at 12:30 (after only six hours of sleep) by two friends who decided to join us later, we readied ourselves for an afternoon of sightseeing and shopping. 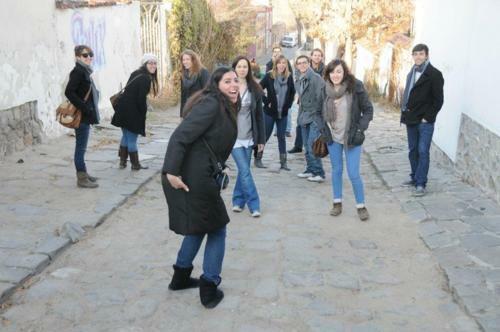 Because I had been to Plovdiv previously, I was the designated tour guide leading everyone around the Old Town. Basking in the sunny, warm weather, we meandered through the uneven cobblestone streets filled with history. 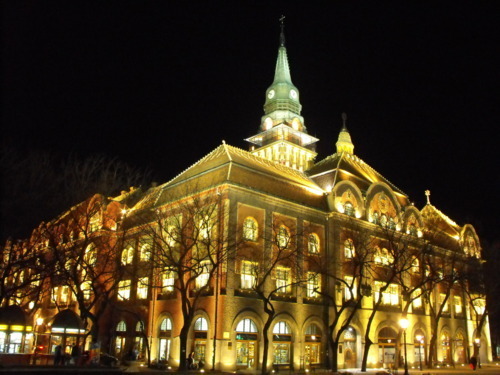 Moving from old to new, we took a taxi to the Plovdiv Mall to do a little shopping. Returning to our hostel, we took a two-hour nap before showering and heading out for the night. Because the boys wanted to watch a soccer match, we had dinner at a bar and grill while taking in the game. On the recommendation of our server, we headed to a club near our hostel. However, after entering, we were unable to find a table or even enough room to comfortably stand. Leaving the club, we returned to the bar of the previous night because we liked it so much. Dancing until the bar closed, we returned to our hostel for a few hours of sleep before catching the 13:00 bus back to Blagoevgrad. Exhausted, but happy, we returned to AUBG to prepare for finals week (and, unfortunately, leaving). There is no other way I would have chosen to spend my final weekend in Bulgaria. This last weekend is one that I will remember forever adding to the many wonderful memories I have made this semester. Without these friends, my memories here would have been much easier to forget. Months ago, when I was preparing to embark on my journey to Eastern Europe, I was told to take lots of pictures and travel as much as possible. As you can tell from reading my blog and looking at my Facebook, I have taken these words of advice to heart; making the most of my time in Bulgaria. However, one thing I was not prepared for was the people I would meet. Of course, I hoped that I would make new friends, but I was not ready to make people more important than traveling. Obviously, my future had different plans for me. The community at AUBG has quickly become my family; filled with students from Bulgaria, America, Russia, Germany, France, Spain, Ireland, Turkey, the Netherlands, Estonia, and Poland. As I spend my days, as well as my nights, with these people, I feel my heart stretching to include them all; integrating them into my very self. Unfortunately, as the time nears for me to return to the United States, I feel my heart beginning to break. Clearly, I love and miss my friends and family in the U.S., but now my heart contains people from all over the world. Hopefully, I will reunite with many of them in the future, but I know there will never be another time like the present. Though I mourn the future, I will remain in the present and live life to the fullest. If I continue to reminisce the past or worry about the future, I may miss the present – the greatest place to be alive. The past is filled with many memories and the present may contain many more, but the present is where all are made; causing urgency in all that I say and do. 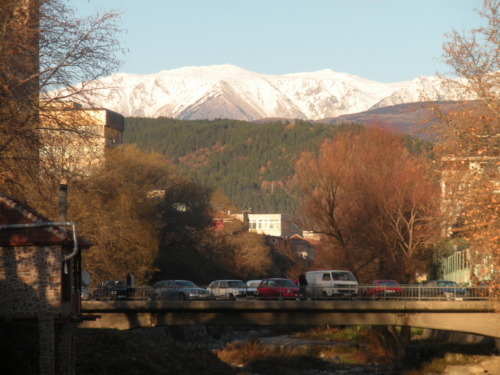 Thursday begins the wonderful month of December, meaning only eighteen days remain of my time in Bulgaria. However, I will not allow myself to dwell on this sad though; choosing instead to think of the memories I have made and will continue to make over the course of the next few days. This weekend, I was able to add one more adventure and two more countries to my list of memories from this semester. While my mom was a college student in Oregon, she met a foreign exchange student from Serbia; connecting with this woman and continuing that relationship over the years. On Friday, I was also able to meet this woman and her two children (Michael and Anna*); traveling to Hungary and then to Serbia with them. Because her children study in Budapest, I flew into the airport there; meeting the trio outside the gate and driving back to her son’s apartment. After a nice home cooked dinner at the apartment, we walked around Budapest; viewing the beautiful city at night. Seeing the sights of the most livable city in Central and Eastern Europe by night proved to be rather cold; forcing us to stop in a café for dessert to warm up. Returning to the streets, we continued to meander; finally returning to the apartment to relax and go to bed. Sleeping in until 9:00 AM on Saturday, we walked around the city a little more; seeing its majesty in the daylight. Walking along the Danube River, we saw both the Buda and Pest sides of the city (the two cities of Buda and Pest on the banks of the river were joined into one city in 1873). Following a coffee in a café (surprisingly my first of the day) we hopped in the car for the two-hour drive to Subotica, Serbia (their hometown). Arriving in Subotica, we stopped for lunch and the most popular café in town (even the president of Serbia travels from Belgrade to dine there). After a tasty lunch, I was given a tour of the town (including the inside of the town hall). Beautiful, even during an overcast afternoon, Subotica’s charm captured my heart. Following my walking tour of the city, I went with Michael to the local ice rink. However, we were not able to venture onto the ice because they had run out of ice skates by the time we arrived. Instead, we met Anna and a friend at a coffee shop for a relaxing chat and, of course, delicious coffee. Feeling more awake after two shots of espresso, Michael and I showered and met a couple of his friends at a pub for drinks before heading out for the night. Only sleeping for a couple hours, we awoke early on Sunday in order to ensure that I caught my flight back to Sofia. Traveling back to Bulgaria, I was able to reflect on my time in Hungary and Serbia; realizing that it was one of my favorite weekends outside of Bulgaria. Spending time in Budapest made me acknowledge the fact that I have fallen in love with Eastern Europe. 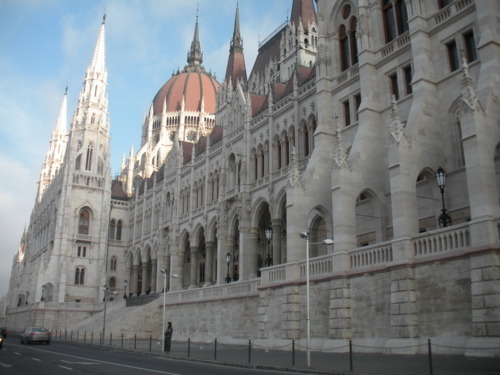 Being such a livable city, I would not mind returning to Hungary to either work or study. Only the future can tell!